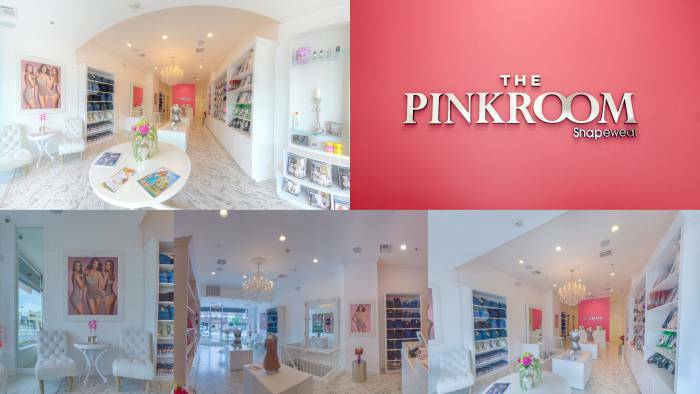 The Pink Room is a fresh, new shapewear company that opened for business in May of 2008 with our retail location in Northern New Jersey, just minutes away from the heart of New York City. We started a successful business enterprise with the goal of helping women and men to choose the right girdles and bodywear, specifically catering to their own individual needs. By combining the best of both worlds of American business structure and Colombian artisanship, we are able to bring you excellent products and the highest level of customer service. We work with well-established overseas companies that have been continually improving their products through experience and technology. By offering meticulously structured garments which are crafted from carefully selected natural and synthetic fabrics, our shapewear provides a superior level of comfort and support, and is as aesthetically pleasing as it is functional. Our commitment is to bring the best style, variety, and quality to our customers, which we accomplish by fully engaging in the product selection process. We are always searching for the the most innovative companies, and researching the latest advances in manufacturing and design. It is though this active business model that we have developed our high standards of customization and craftsmanship, and it is these high standards that we will always adhere to. Our mission is to deliver the best quality products that are designed to exceed our customers' expectations and make a lasting impression when you experience our unique approach to shape you. Due to our commitment to quality and dedication to our clientele's needs, we are highly recommended by plastic surgeons, chiropractors, and aestheticians, which in turn, has granted us a loyal customer base and contributed to making our company a visionary leader in the shapewear market.